Broadcasting live and direct from the FFR studios, it’s the Boro DJs. Bringing nothing but the funk and goodness to your Saturday eveings. Join MightyL and the team as they spin the hot joints of today and yesterday. The live mixes are always on point, plus special guest surprises just add to the fun. So tune in and vibe out with the Boro. 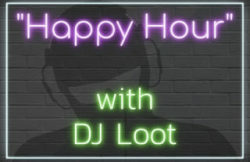 It all starts today @6pm(pst) in studio 2B on Fccfreeradio.com.